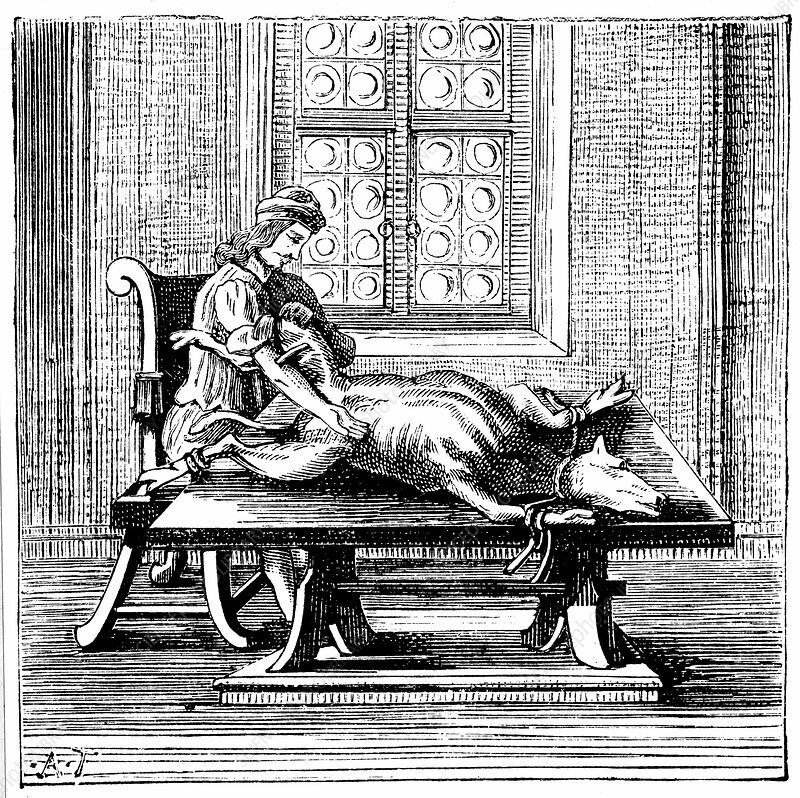 Animal-to-human blood transfusion, 1679. In both England and France this procedure was tried using lambs and calves. In Paris it was outlawed by the medical authorities from 1678 because of the adverse effects on patients caused by the incompatibility of the blood. From Tractatio Med. Curiosa de Murto et Occasu Transfusionis Sanguinis by Georg Abraham Mercklin.